At 41-years-old, Abelino Cano Aguilar is built small, but sturdy. His skin is weathered from years of working outside, his arms are strong and the determination in his gaze is striking. He’s modest about his own abilities, observers says, but it’s obvious that he is physically stronger than most others on the worksite. Abelino a community leader in the village of Socorro Yaoska in Nicaragua. 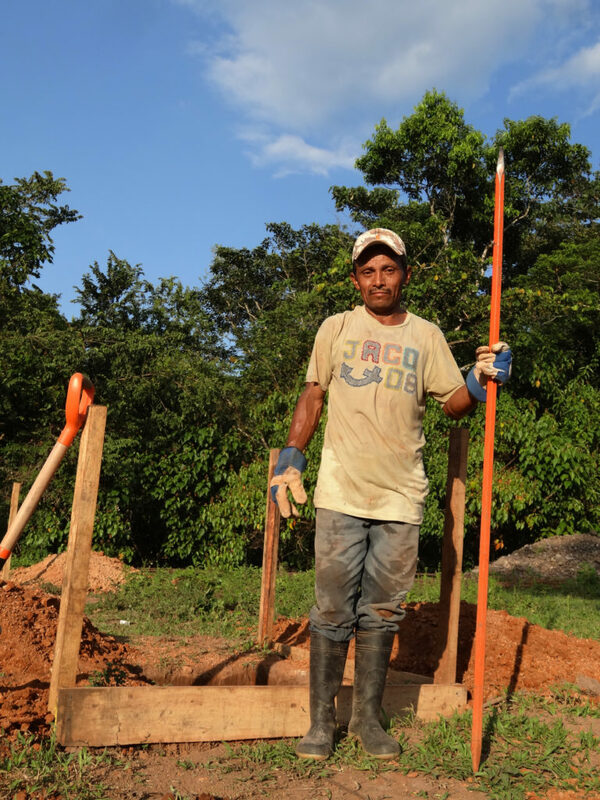 When buildOn arrived to construct a new school for the village, Abelino came to the worksite every day that it was under construction. This new school building, Abelino says, will bring improved access to education to a community where it was once nearly impossible to attend school. Abelino, and many of the other adults, have never gone to school. Most cannot read or write. They make their money as small-scale farmers, growing corn and beans and rearing cattle. There is no shame in agriculture, Abelino notes, but children from Socorro Yaoska can now dream of other opportunities because of education. “I want my kids to study so they can have a good future and for their lives to go differently. I do not want my children to be a slave to a machete. I want them to be able to work in an office,” he says. Abelino is a leader in the village of Socorro Yaoska in Nicaragua. He spent long hours on the worksite to ensure the successful completion of his community’s new buildOn school (pictured left). He surveys the new school structure upon completion (pictured right). It was nearly two decades earlier when students from the community first had the opportunity to go to a traditional school. But, the school was 12 kilometers, or seven and a half miles away, and there was no road. It would take two hours to walk from the village to the nearest road, drastically limiting the students’ abilities to get to school. The walk was long and unsafe so most students simply stayed home. But since buildOn came to the community, the local municipality agreed to build a road so construction could begin on the new school. Though the road was built to transport construction materials to the worksite, it will also help villagers access jobs, trade opportunities and hospitals and improve their overall quality of life. With the new road, also came a temporary, makeshift school structure where Socorro Yaoska’s students, including two of Abelino’s children, were learning until the new structure was completed. 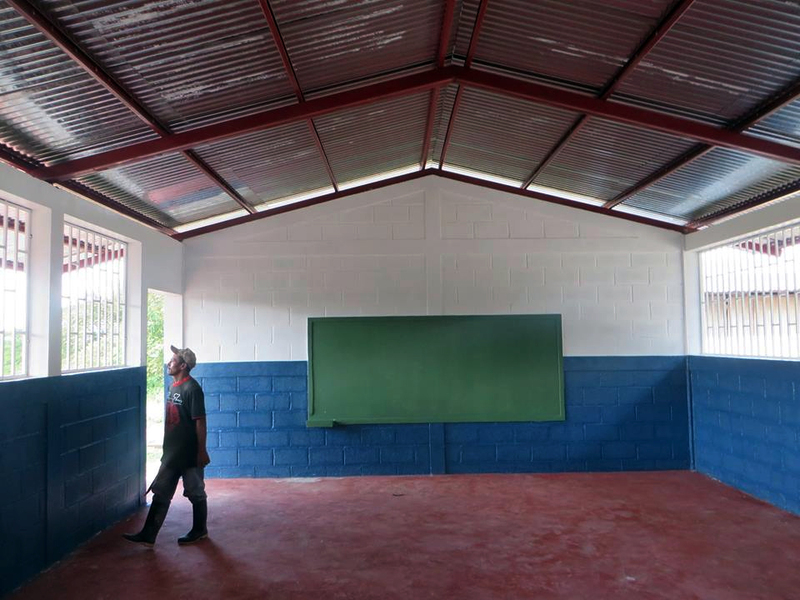 Abelino hopes that a better, buildOn constructed classroom will allow more students to attend school. He is hopeful that the government will fulfill their promises to help the school expand and support more learners. Nicaragua has drastically improved in many ways over the last two decades. Much of the population has increased access to healthcare and improved economic conditions. Yet a large percent of the population cannot read and write, especially in rural areas. In villages like Socorro Yaoska as much as 80 percent of the population may never have had the chance to go to school. Much of the population suffers from poverty, and 79.9 percent of Nicaraguans earn less than $2 a day. There are thousands of Nicaraguans like Abelino who have never been to school. They wait for the day when their children can dream of a brighter future, one where they are able to read and write. Because of the communities commitment, and buildOn’s collaboration, this dream can be a reality for generations to come in Socorro Yaoska. 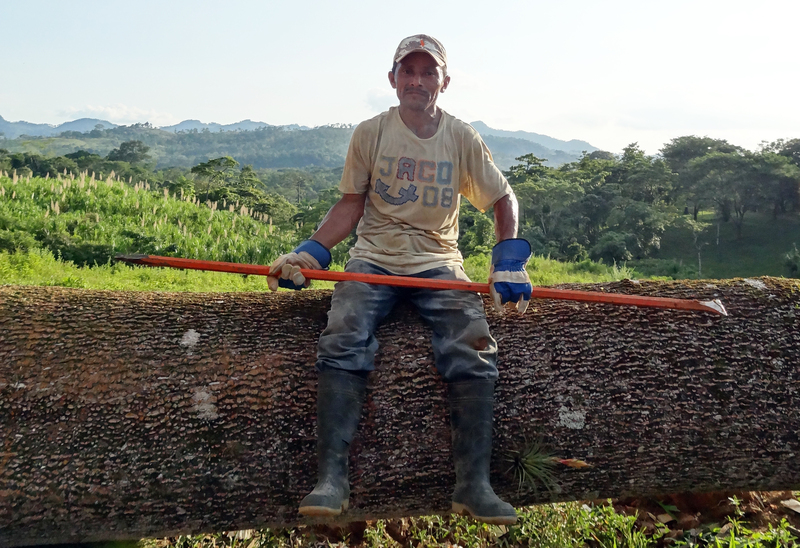 Thanks to Todd Freedman, a buildOn Trek Coordinator, for contributing to this story and to Pedro Valladarez, a Trek Coordinator from Nicaragua, for translating. The pair visited Socorro Yaoska with investors from Moss Adams for the school’s groundbreak in December 2014.